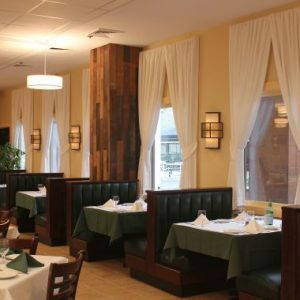 The look of horizontal wood blinds is one that is hard to match. There are many solutions for sliding patio door blinds, including vertical blinds, sliding panels, roll-up blinds, among others. However, when the rest of your house is done with horizontal wood blinds, it is nice to be able to match that look across your sliding doors. Glider Blinds has developed the patented Glider Blind Track System to solve this exact problem. 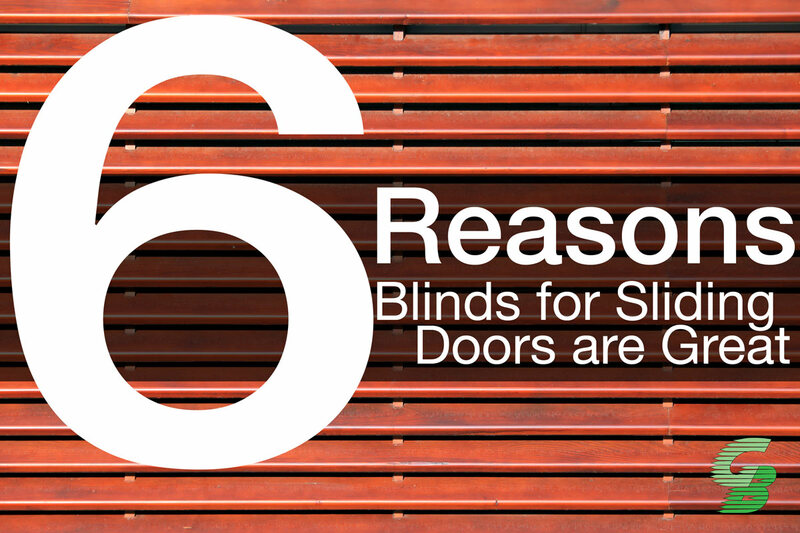 Here are six reasons that horizontal blinds for sliding doors are great. The patented Glider Blind Track System glides both ways across your sliding door. This means that you can move the blind from in front of your sliding panel to the other side for easy walk-through access to your patio or deck. This is a great solution for sliding doors with high traffic, especially if you like to entertain, or like to use your patio or deck frequently. 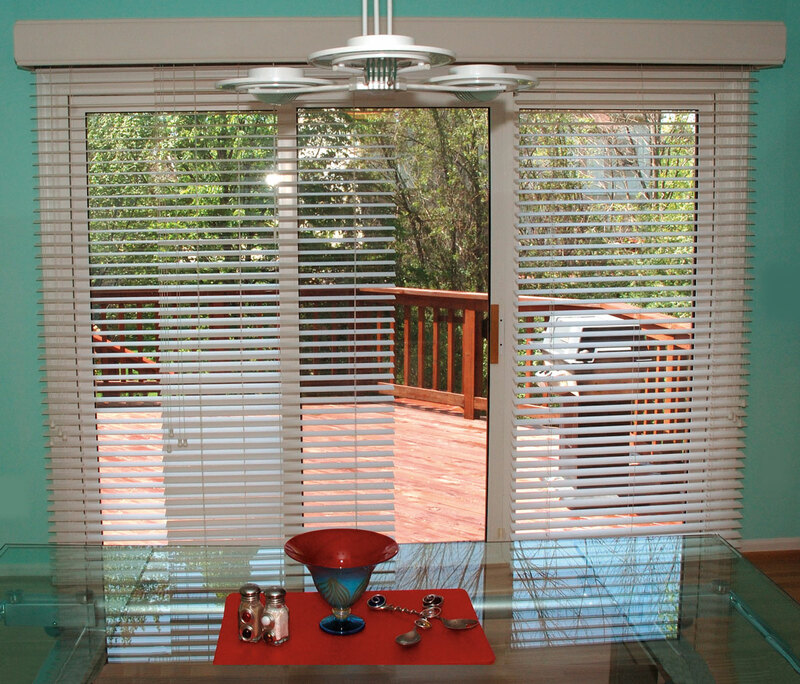 The blinds attach to the upper bracket where they glide back and forth, and side to side with the use of a short wand. The Glider Blind Track System allows for either open or closed positions, with the use of control strings. 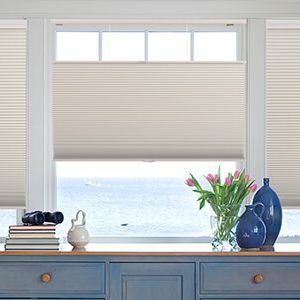 As we mentioned above, the horizontal wood blind look is unique and elegant. When designing the Glider Blind Track System, we kept that in mind. This is why our patented system is designed for use with horizontal wood blinds, which come in a variety of colors and a few different sizes too. Of course each blind can be opened, closed, or adjusted to allow just the perfect amount of sunlight in. Because the Glider Blind Track System is able to be used on 5,6,8,9 and 12 foot doors, the system can have two or three panels. Nevertheless, each panel’s blinds can be adjusted the same with the use of the control strings. This flexibility allows you to control the sunlight in your room in multiple ways. The Glider Blind Track System is designed for ease of use. The patented gliding system rolls along the top track with ease by simply pulling the wand in either direction. The control strings are just like any others, you have the unique ability to open and close the blinds, as well as draw up the blinds. Fits 5,6,8,9 and 12 ft Doors. Our solution is great for nearly any size door. We realized that the flexibility of our customer to be able to use the Glider Blind Track System on any size sliding patio door would be essential. Last, and certainly not least, the Glider Blind Track System is available in a motorized version. For those of use that enjoy home automation or being able to control the horizontal blinds with a motor, we have developed the ability to integrate with smart home systems, or the ability to have the Glider Blind Track System motorized on a switch in the wall. Contact us for details. 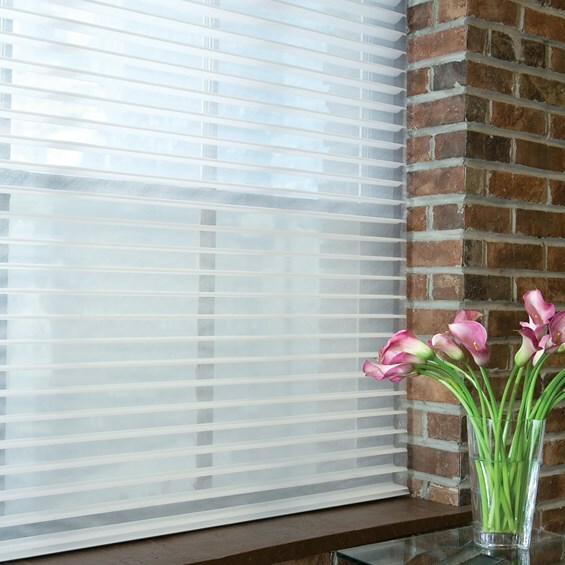 Contact Glider Blinds for more information on our Glider Blind Track System, or how to order now.